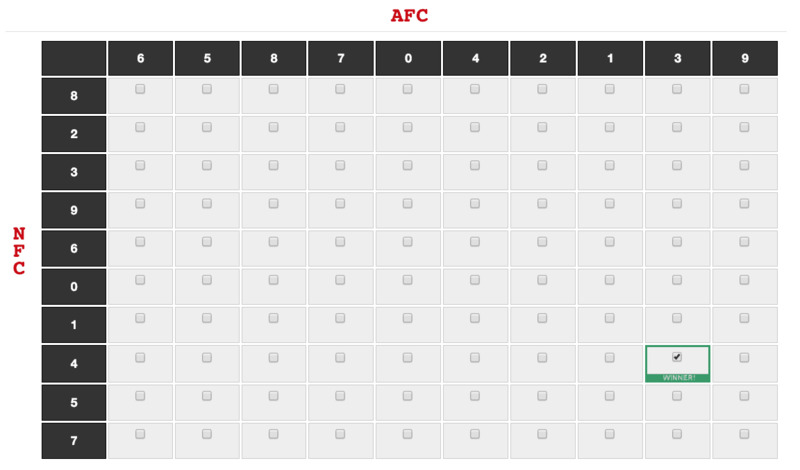 Begin recruiting your Users to join your Football Squares pool. 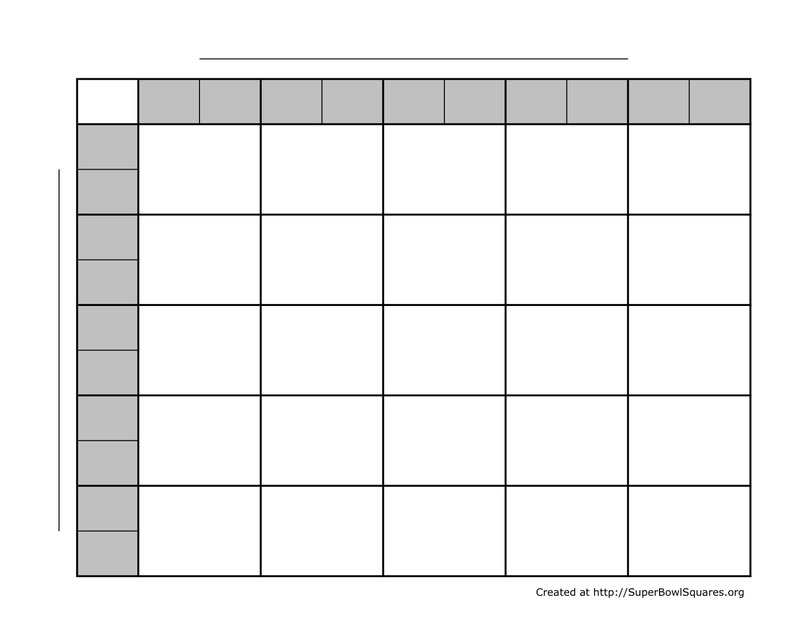 If you use our site to Play Football Squares Online, this will be a much easier process since you can simply email everyone the link to your site and let them choose their squares. 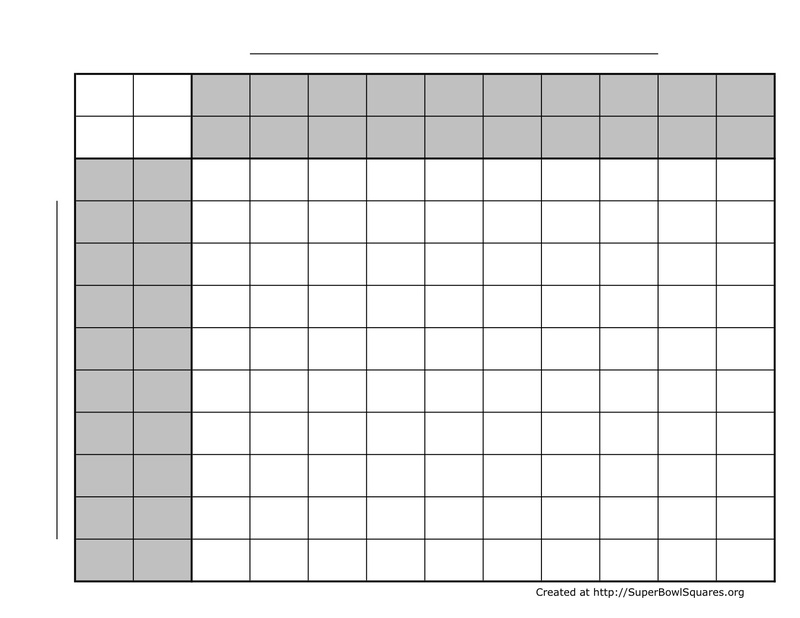 If you decide to use a Spreadsheet or Printable Sheet, then this proces will take you a lot more time simply because of having to try and share a single sheet or spreadsheet. 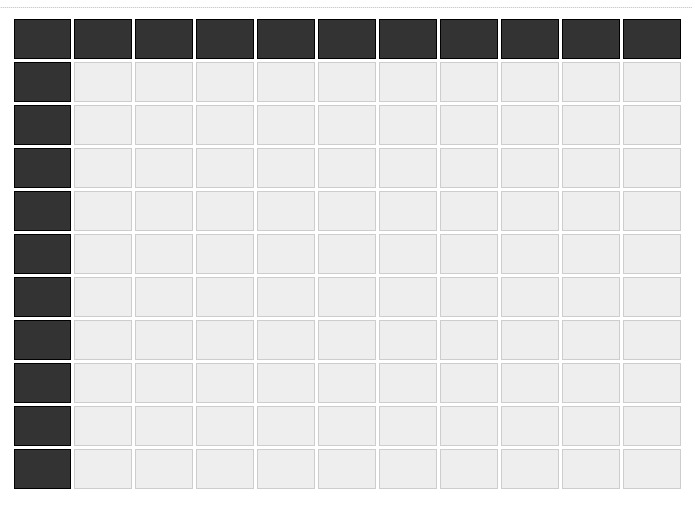 Your Football Squares grid is now complete, and you just need to wait til the game is played to determine who will be your winners. A winner is usually determined at the end of the 1st quarter, 2nd quarter, 3rd quarter, and Final Game score. 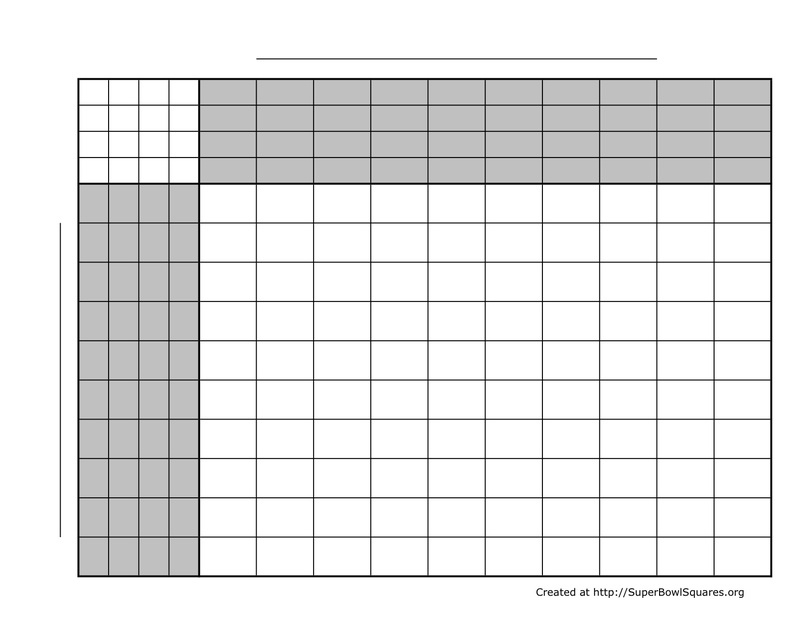 The winner is determined by looking at the last number in each of the teams' score, and then matching those numbers on the grid and seeing which square intersects those two numbers. An example would be if the Miami Dolphins were playing the New York Giants in the Super Bowl, and the score at halftime was Miami Dolphins 33, and NY Giants 24. 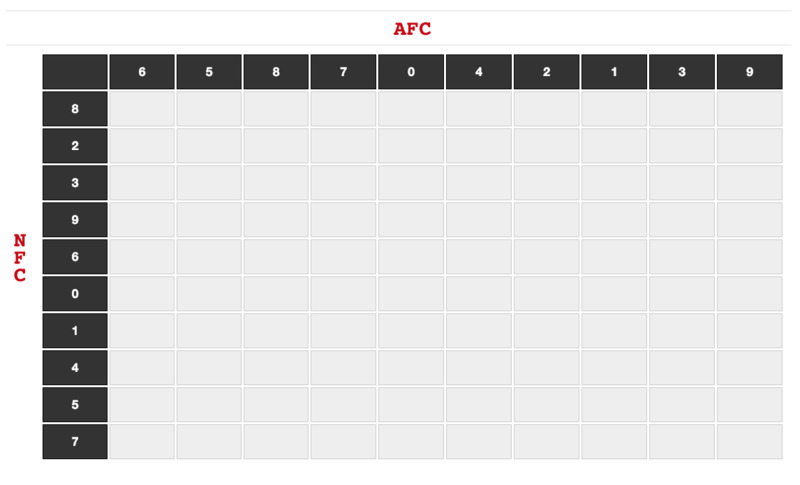 The last number for the Dolphins is 3, and the last number for the Giants is 4. 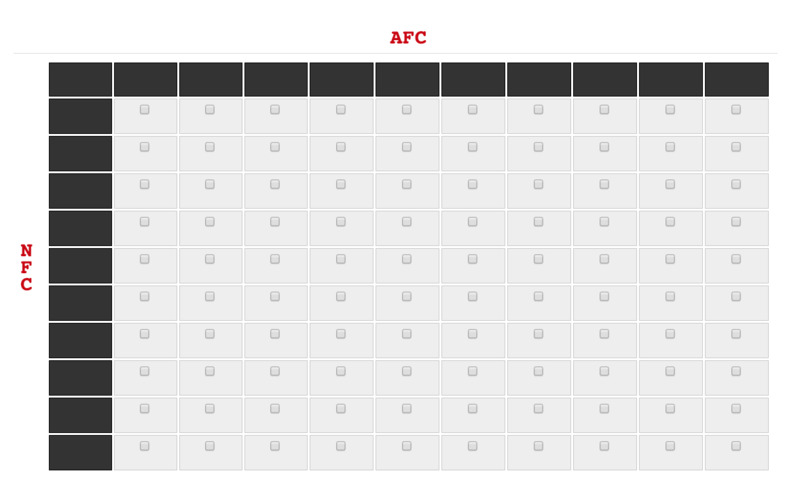 The square on the grid that has the Dolphins with a number of 3, and Giants score of 4, would be the winner.